diburning wrote: Is a RFP/bid procurement process mandatory? I remember when the MBTA had (and have since passed up on) add-on options on the SMART order for Nippon Sharyo diesel-hydraulic DMUs. Or was that only possible because no one else in the US was making DMUs at the time? I thought there was indeed an RFP issued for that one. It was cancelled with less than a month to go before deadline. nomis wrote: 10 Chargers for the disappearance of 2 MP36's and some $$$, yes please. Those are the two units that came from Utah right? Makes since since there are only two of them and we probably don't have a lot of on hand parts for repair. How have their reliability been to date? The two MP36s are lemons. Talk is we are getting 5 Chargers for a test. Siemens will do the maintenance, all we will do is put the fuel in them. They are IDOT locomotives we are getting, they should be here sometime soon. The talk was for the end of the year. When they arrive are they likely to favor the North or South Side? I think you guys are asking a bit much when the deal hasn’t even been finalized. RenegadeMonster wrote: When they arrive are they likely to favor the North or South Side? It’s customary to restrict testing equipment to the slimmest portion of the system possible. Zero chance they’ll run them everywhere. So if it's end-of-year is this only a short-term evaluation lease of units that have already been delivered? Siemens has a 1/31/2018 deadline for "factory-complete" delivery of the 63 intercity Chargers currently on-order. "Factory-complete" means Siemens is contractually done with assembly and they're ready to be waybilled for delivery, but in real-life the states are still grinding through acceptances so they won't be shipped out until the states are ready to fetch them (and may, while waiting for the states, get some minor add'l post-deadline tinkering at the factory). There's 36 unexercised options split some indeterminate % between Caltrans and IDOT (WSDOT drained all theirs). MARC's 8 commuter units came out of an earlier exercise + transfer of IDOT options, and are underway with assembly now but not due until spring because those options were exercised after the intercity 63. If these 5 leasers are ready for testing on the T in as soon as 3 weeks, they must already have been delivered on the IDOT order and are thus not laundered options. Possibly already accepted units that have either run in-service or have been pulled out upon acceptance to await go/no-go on this lease scheme. This would explain why it's a lease and not a buy, and why they're coming possibly this calendar year and not mid-Spring as post- MARC assembly units. IDOT can presumably afford to do this because its options are for the service increases they don't currently have enough coaches to enact, thanks to Sumitromo/Nippon Sharyo's big belly-flop on the bi-level order. But it will be time-limited in some way because the Siemens salvage team has been drafted to do the revised coach order, so they'll need their locos back by no later than mid-2019 when the first coach deliveries are in-sight. -- How long an evaluation period if IDOT needs these back? -- What's the trade-in status of the MP36's if there's no further action after the lease is up? Is Siemens going to finagle us something else like a couple rebuilt F40's if that's the end of the Charger experiment, so the T doesn't end up 2 units short long-term? -- What are the performance metrics for a successful trial that they're looking for before proceeding to RFP for their own order (either fresh-placed, or laundered out of the unexercised IDOT options if there are enough left)? Even if the F40PH-2C overhauls proceed apace and the unfunded options on that program get eventual full funding to keep the old fleet serviceable for 15 more years, there is still no solve for end-of-life on the Geeps so a 20+ unit order of something is going to be needed. Is there a trigger for proceeding to a full new order if these IDOT leasers prove successful? The Geep dilemma kind of makes the tryout more purposeful than trying out for trying-out's sake, so what's the action plan on follow-through if the trial does well? F-line to Dudley via Park wrote: Lease vs. buy probably has a lot to do with budgeting and scheduling gymnastics. I would not be surprised if the leasing decision (should that decision be finalized) were a direct result of the work environment at BET. The third-party maintenance alone should mean these engines blow even the HSP-46's MDBF out of the water. Wouldn't Siemens doing maintenance in MBTA territory be something of a potential trojan horse for them doing maintenance on some things they make that don't run on diesel...? Last edited by CRail on Thu Jan 04, 2018 4:40 pm, edited 1 time in total. dowlingm wrote: Wouldn't Siemens doing maintenance in MBTA territory be something of a potential trojan horse for them doing maintenance on some things they make that don't run on diesel...? It's unavoidable in this case because these are IDOT-owned locos just here for a short-term lease. They still have to be maintained to Amtrak spec because they'll be going back to Chicago to run intercity service as soon as the new Midwest coaches allow the boosted loco numbers to start running the expanded Amtrak schedules they were originally ordered for. So for practical reasons Keolis isn't going to be allowed to poke under the hood, and will be prevented by the Siemens Service & Support intermediary from letting any deferred maintenance take hold from BET staffing shortages. That said, Siemens really sees a pot of gold in selling S&S contracts with its rolling stock orders. They're going to be marketing the living crap out of that angle for subsequent orders. MARC and SEPTA are already signed-on for S&S with their commuter Charger and Sprinter orders. They'll be making that a key part of their sales pitch to VIA Rail for their Corridor replacement locos as VIA does not have any maintenance bases approaching the scope of Amtrak Beech Grove shops. And every forward-thinking commuter rail operator who adopts advanced analytics with their procurement planning to place higher emphasis on Total Cost of Ownership over a vehicle's lifetime vs. saving a few bucks on initial purchase or being self-controlling for self-control's sake (see: learning from past over-customization follies) is going to look long and hard at what those vendor support packages can do projected over 20 years. The more sign-ons Siemens gets for S&S on its product, the more other agencies are going to be swayed by the strength-in-numbers of the MARC's, SEPTA's, and others taking these packages and the less they'll be scared off by the risks of committing long-term to one vendor. That's where Siemens wants this shortie IDOT lease to end up: the T having a good enough taster experience with the vehicles and the Siemens S&S over the several months to year of the IDOT trial and deciding to plunk down for a 20-unit base order of their own Charger fleet with full 20-year S&S contract in-tow. Base order replacing the unrebuildable GP40MC's, option for +10-20 more units tacked onto the contract if they would rather curtail most/all of the unfunded options on the F40PH-2C rebuild program to stack the deck on newer power instead. Then keep just the 10-15 funded-for-overhaul F40's to fill out the ends of the roster, with the ongoing CR Future study making a recommendation by 2019 on whether to electrify Providence, etc...in which case those dozen-plus residual F40's currently beginning repair would get bumped come 2025 by new-purchase electric locos or EMU's. The T's Charger ordering possibilities fit pretty well with the dilemmas they're tackling on fleet makeup going forward: base that at-minimum covers the Geeps they have to replace no matter what, options covering displacement of everything up to what fleet needs are TBD on an electrification decision (which the overhauled F40 residuals can cover as placeholder until they go/no-go the wire-up decision). Siemens S&S packages may heavily tip the scales on what the T decides for its next-gen Fleet Plan if the 20-year Total Cost of Ownership looks really bullish at certain ordering quantities because of the cost/labor certainty around maintenance. It ends up sneaky-smart (even if only by happenstance) for the IDOT rentals to be a teaser for S&S, not only for Siemens gaining a future order out of it but the T also getting in a more forward-thinking state of mind with the Fleet Plan and TCO economics. Speaking of S&S contracts, Brightline (All Aboard Florida) has a 30 year contract with Siemens to maintain their trainsets. Siemens has already hired or relocated employees to work in West Palm Beach at the Brightline facility. When the Orlando expansion is built (timeline of late 2020) and 5 more trainsets are added (7 cars plus 2 Chargers each, expanded from 4 coach cars presently on the existing 5 trainsets), a major repair facility will be opened at the Orlando airport. I have read that this new facility will result in well over 100 additional jobs to maintain the 10 trainsets. The WPB shops will remain open for light repair/maintenance even after the Orlando shop is up and running. I remember reading last year that Amtrak was impressed with the new trainsets being built by Siemens for Brightline. How much influence did the Brightline trainsets have on California ordering integrated trainsets (similar to Brightline) instead of loose cars, like IDOT specified? They will be restricted to the North side, the units coming will not be cab signal nor ACSES equipped. 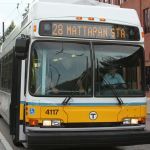 During this trial period, the T can't modify them in any way shape or form. Even Keolis mechanical forces won't be allowed to do maintenance on them, just fuel and go. Anyone have an updated status on this?